MANATEE COUNTY, Fla. - County officials plan to expand their red tide efforts by hiring a vendor to clean small canals and waterways. Saturday and Sunday county staff will survey communities to determine the worst areas with dead fish. They want to put together a game plan because on Monday they plan to clean up the neighborhoods with the biggest problem. 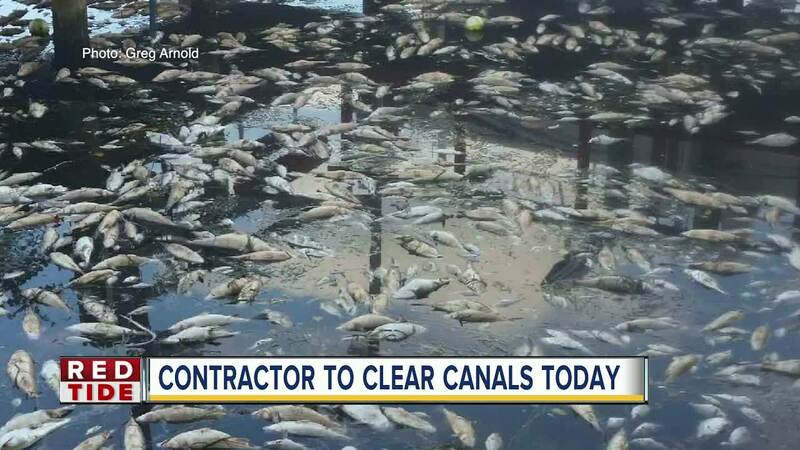 People who live in Coral Shores in Bradenton said there was some confusion, at first, about whose responsibility it was to remove the decaying fish from the canals. Greg Arnold does not blame the county. “Anything (is) better than nothing, right now, especially for them more down at the end,” Arnold said. Arnold was referring to homes at the end of the canals. He said the smell can be unbearable. “It comes and goes. Sometimes I think ok (and that) it’s starting to lighten up a bit (and) everything and then when y’all came by I opened the door and I went whoa it’s bad again,” Arnold said. The county set up a hotline where people can call for information about clean up efforts or with questions about red tide. The number is (941) 749-3547. It's called the Citizens Operation Center. 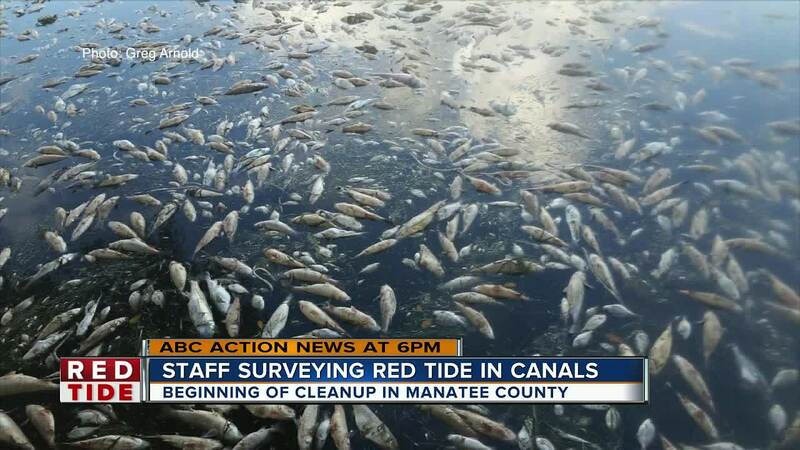 For more information from the county, go to www.mymanatee.org/news___events/what_s_new/red_tide_canal_cleanup/ .